Last President of the Republic Anson Jones. Like so many other men who came to Texas during those trying times proceeding war with Mexico, Anson Jones had a colorful past. At times he was successful but, more often than not, failure seemed to follow this man who would end up being the last president of the Republic of Texas. According to the Handbook of Texas Online, Jones was born in Massachusetts on January 20, 1798. As a young man he had planned on becoming a printer but his family persuaded him to become a doctor and as a result he was licensed to practice medicine in New York in 1820. He made a meager living as a doctor in New York and decided he might be more successful if he moved out west. However, he only got as far as Philadelphia before he was arrested for outstanding debts and eventually ended up staying in that city for a while where he taught school and practiced medicine. In 1833, Jones drifted to Texas where he met John A. Wharton who convinced him to move to Brazoria and open a medical practice. Texas was in great need of doctors at the time and Jones met with huge success in the little town on the banks of the Brazos River. As tensions grew between Texas and Mexico, Jones tried hard to promote peace but was finally worn down as Mexico continued to try the patience of the settlers by imposing more taxes and passing unfair laws. When war finally came, Jones enlisted as a private in Robert J. Calder�s company where he served as surgeon during the Battle of San Jacinto. 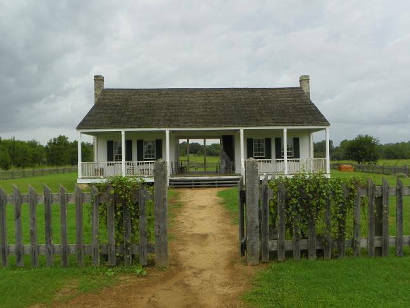 After the war, Jones returned to Brazoria and resumed his medical practice. When the First Congress of the republic met, Jones became very interested in politics. He was adamantly against Texas joining the Union and expressed a desire for it to remain a sovereign nation. It was his belief that it was much better for Texas to have a treaty with Mexico, where independence was recognized, rather than becoming part of the United States. The simple truth was; Jones wanted Texas to remain a republic. 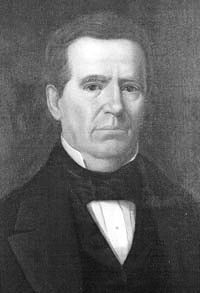 Jones won a minor victory in 1838 when President Sam Houston appointed him minister to the United States and ordered him to go to Washington and withdraw the annexation proposal. However, when new President Mirabeau B. Lamar came into office, Jones was ordered back to Texas. During Lamar�s administration, Jones served as a senator where he continued to slam the president�s policies. He was against everything that Lamar stood for including the president�s Texan Santa Fe expedition that turned out to be a disaster. After Lamar�s tenure as president was over, Sam Houston was once again elected to serve as head of the republic. It was during this time that Jones also was given back some of the power that he had lost. Houston appointed Jones secretary of state giving him the authority to handle the foreign relations of Texas. He immediately began to pursue trade agreements with France and England. Jones finally reached the highest office in the land when he was elected to the presidency of Texas in September of 1844. He continued to oppose annexation to the United States but was overruled by the Texas Congress and the country joined the Union in 1846. For some reason, Jones developed a hatred for Sam Houston after the annexation. Perhaps it was because he believed he should have been elected senator to the United States � a position that was eventually won by Houston and Thomas J. Rusk. History tells us that Jones remained very bitter over the outcome of that election. In later years, Jones retired to the plantation he called �Barrington,� near Washington-on-the-Brazos and became a prosperous planter. He is also credited with establishing the first Masonic lodge in Texas which was located at Brazoria. 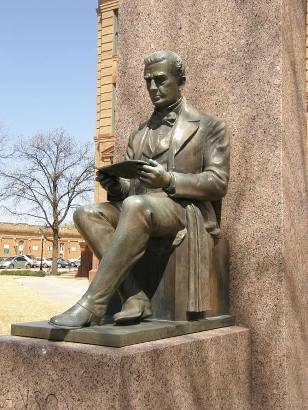 In 1853, he was one of the founders of the Medical Association of Texas. In 1857, Jones tried once again to run for office and become a senator in Washington; he received no votes. Perhaps so depressed over this last disappointment, the man who uttered the words, after the annexation, �the Republic is no more,� Anson Jones committed suicide at Houston in 1858 � he is buried in that city at Glenwood Cemetery.